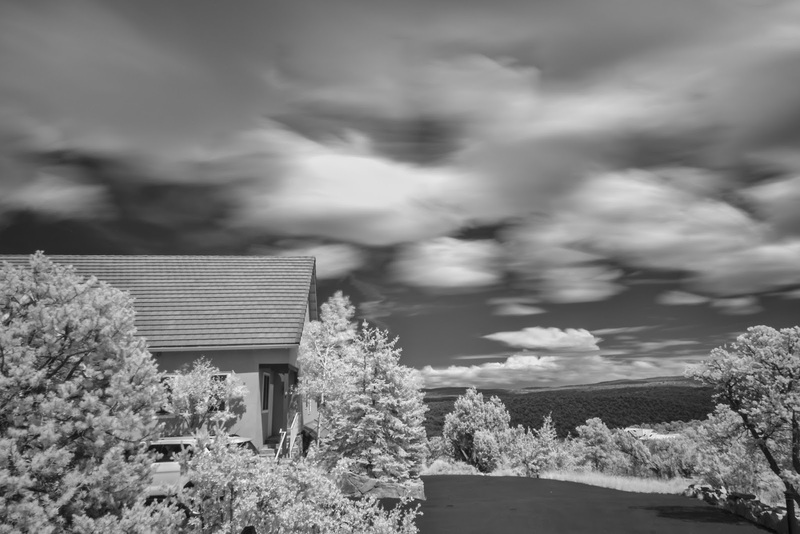 There are many blogs out there with information on how to do Long-Exposure (LE) photography and the bottom line is simple: get yourself some Neutral Density filters. Of course the next question is how many? But before discussing this, there is another question to answer: why not a single variable-ND filter? Cutting to the chase: it all comes down to how wide your lens is. In 35mm equivalence terms, if your lens is wider than about 28mm, you will likely see uneven skies. The reason is that the variable ND filters use two polarizing filters and if you move them to the maximum, you will likely be disappointed. So, although you can go from, say, an ND of 2 to 10 in a single filter, if shooting wide, just be warned. So, as a wide angle shooter I decided to stay away from the ‘all in one’ solution and elected to buy two NDs: a 10-stop and a 4-stop, ie what many call an ND-1000 (really 1024) and an ND-16. Together giving me a 14-stop capability, which put in terms of exposure time would mean a 1/50 sec exposure being stretched out to some 330 seconds! BTW for those of a mathematical disposition the governing equation is: tnd = to x 2ND. Where tnd is the exposure after the application of the filters and to the base exposure without the filters. If you are reading this, I don’t need to tell you why you may wish to consider LE photography, eg: eliminating people from a scene or blurring water and skies for artistic impact. So the question is: how to go about it? As usual with me, I look for ways Magic Lantern can assist me; and I’m pleased to say it can. First ML comes with a built in bulb timer. Simply put the camera on its bulb setting and enter the desired shutter time. To initiate the LE time, do a half press of the shutter release for a couple of seconds, and ML does the rest. The second place ML helps in in the matter of exposure estimating. Without ML, the usual approach, unless you are good at math in your head, is to use an App or a look up table. Simply note the exposure without the filter and look up the new exposure for the ND you are using. Or, if using an ND14 stack, double the shutter time 14 times in your head! If you don’t wish to carry and App or a look up table, then ML can help you…at least a little bit. For low NDs you will usually find you can use auto-ETTR, which is good out to short of 30 seconds. However, if you are using an ND-14 stack, ML ETTR will struggle to find a solution and certainly will fail beyond 30 seconds. So if my ETTR hint said 2Ev and my shutter was 0.5s, I would know I could comfortably increase my shutter speed by 2 stops to 2s, ie 6 clicks for me as I have set third stop increments on my camera. If this wasn’t enough I could then adjust my aperture, by another 2 stops, ie 6 clicks, and my shutter speed another 2 stops to account for the aperture shift, ie ending up at 8s. Finally, if I wanted to go further I could screw on my ND16 and adjust the shutter speed by 4 stops to 128s. 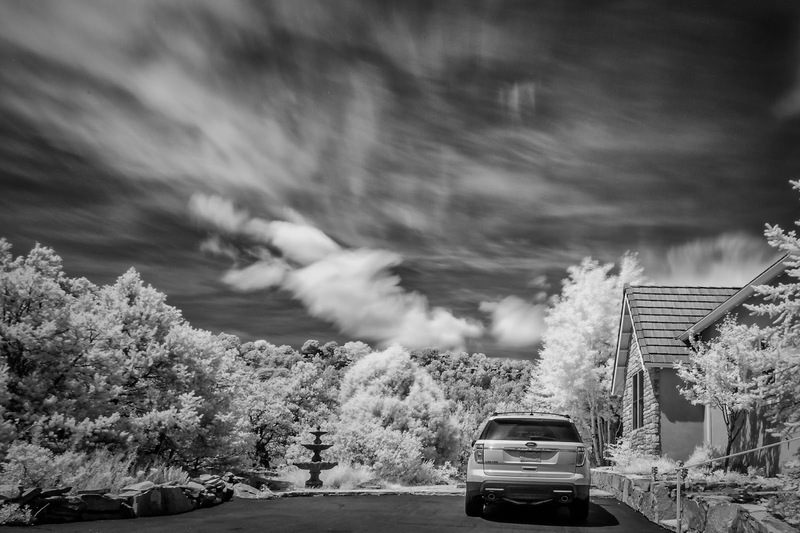 Below are a couple of experimental LE IR exposures taken at midday, ie for maximum IR impact. The base exposure on my IR converted 50D was about 1/100 second, ie easily handheld with my 10mm lens, but with the ND14 stack the exposure ended up at 150 seconds, ie I was on a tripod! You can clearly see the cloud and tree movement over the two and half minute exposure. Bottom line: LE photography, a bit like timelapse, allows you to explore the world from a different perspective. Once again, Magic Lantern, in-camera, functionality has shown its worth, ie LE estimation and setting without the need for me to carry Apps or look up tables.